Silently and serenely, one forgets all words. Clearly and vividly, it appears before you. When one realizes it, time has no limits. When experienced, your surroundings come to life. Singularly illuminating is this bright awareness. Full of wonders is the pure illumination. Snow-covered pines, clouds hovering on mountain peaks. In darkness, they glow with brightness. In shadows, they shine with a splendid light. Like dreaming of a crane flying in open space. Like the clear, still water of an autumn pool. Each indistinguishable from the other. In this illumination all striving is forgotten. Where does this wonder exist? Brightness and clarity dispel confusion. The origin of the tiniest. There is the gold shuttle on a loom of jade. Subject and object influence each other. Light and darkness are mutually dependent. Yet do the two interact, mutually. Drink the medicine of correct views. Killing and bringing to life are choices I make. At last, through the door, one emerges. The fruit has ripened on the branch. Only this Silence is the ultimate teaching. Only this Illumination, the universal responds. The response is without effort. The teaching, not heard with ears. All things emit light and speak the Dharma. They testify to each other. The lotus will blossom, the dreamer will awaken. The hundred rivers flow to the ocean. The thousand mountains face the loftiest peak. Like a busy bee gathering pollen. I carry on the original tradition of my sect. This practice is called Silent Illumination. It penetrates from the deepest to the highest. 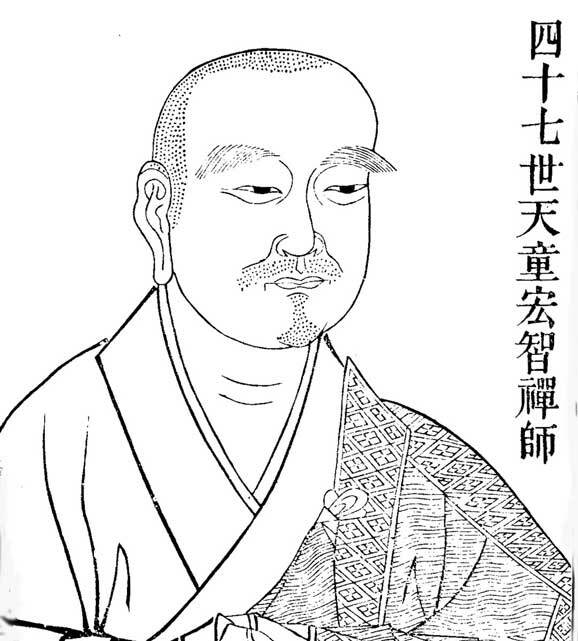 A monk of the Ts’ao-tung (Japanese, Sōtō) line of Ch’an, known as the author of a collection of poetry and kōans, and the founder of the ‘Hung-chih’ line within the Ts’ao-tung school, and as an avid proponent of the ‘silent illumination’ (Chinese, mo-chao Ch’an) style of meditation.